Yoga Inc Yoga Teacher Training - Yoga Inc.
Next intake : No sure yet! Depends on Christine's mood! Enhance your understanding of the body and its relationship to yoga asana. Our approach will be based on using anatomy and bio mechanics of the body to assist healing and better functioning of common problem areas of students. Trainees will be taught how to observe, manage and assist students with injuries in a regular classroom environment. designing a programe through a range of therapeutic techniques. We keep the class size small ( Max 10) to allow every one to have sufficient practice during the training. See how body moves and works through its major muscle groups. Hands on approach to identify key muscles and looking at their association to movement and problems in the body. Observe how our major joints move: restricted/normal/excessive joint range-of-motion. 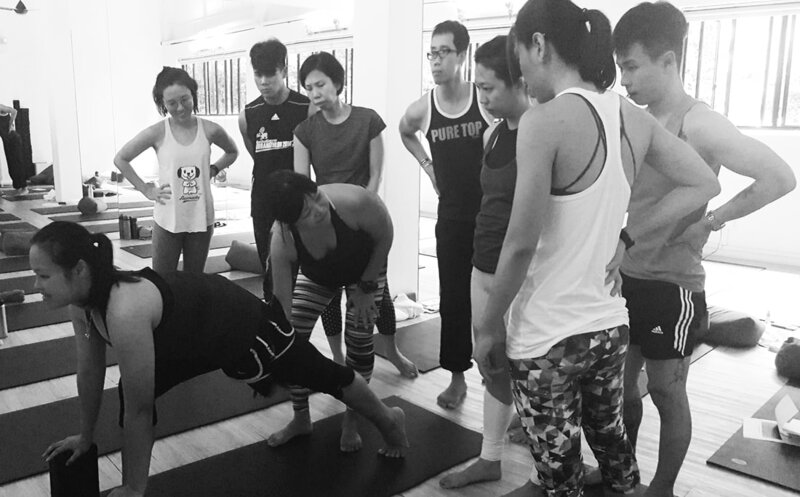 Identify common problems that arise in yoga practice and how to teach students to avoid them. 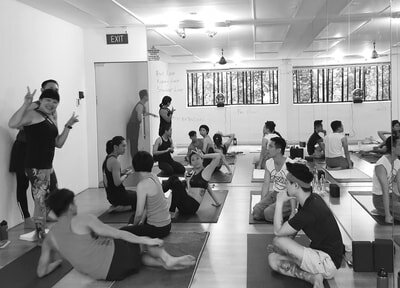 Learn effective therapeutic technique based on bio mechanics and alignment in asana for common problem areas of the body including: feet, ankles, knees, hips, pelvis, SI joints, spinal column, shoulder girdle, elbows, wrists and hands. Learn to apply manual asssists and therapeutic adjustments to stabilize, mobilize and align the body so it can return to homeostasis: a balanced place free from stress. 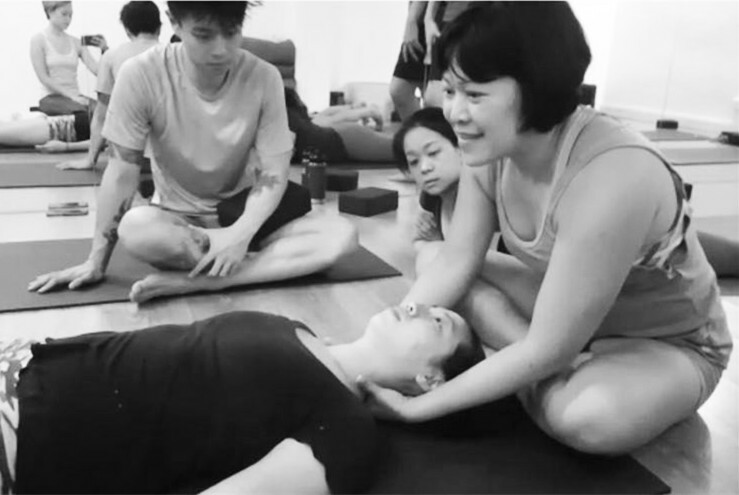 Explore simple bodywork techniques and develop a better feel of energetics behind hands-on work to facilitate healing. Learn an array of yoga poses commonly applied for therapy. Apply a range of exercises with therapeutic benefits to enhance stability or mobility to painful problem area. Learn how to use props and tools and passive restorative yoga poses to support healing process. Learn how to give one-on-one therapeutic sessions. Create and keep a space that promotes true healing. The training will be held at Guillemard . Christine became a certified yoga teacher in 2003 and in her 12 years of teaching career, she continuously improves her skills and knowledge by attending numerous trainings and workshops, including 200 hrs of Shiva Rea's Prana Vinyasa Flow TT in 2009, Anusara Immersion1 and Therapeutics with Ross Rayburn 2011, Anusara Immersion 2 and Therapeutics with Ross Rayburn 2012, Teachers Training with Julie Dohrman 2012, Teacher's Training and Therapeutics with Ross Rayburn 2013, and Teacher's training and Body Temple Therapeutics with Sienna Sherman 2014. Moving beyond teaching yoga, she is also into bodywork. Having completed Cranio-Sacral Therapy (CST) 1 and 2 under Upledger Institute, she is well versed in anatomy and is applying CST and deep tissue massage techniques to assess and guide students with injuries, restrictions and misalignments to rehabilitate and heal physically and emotionally. 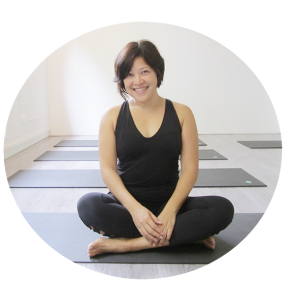 *Non yoga teachers who are keen to join this course can send us an email, and Christine will get in touch!